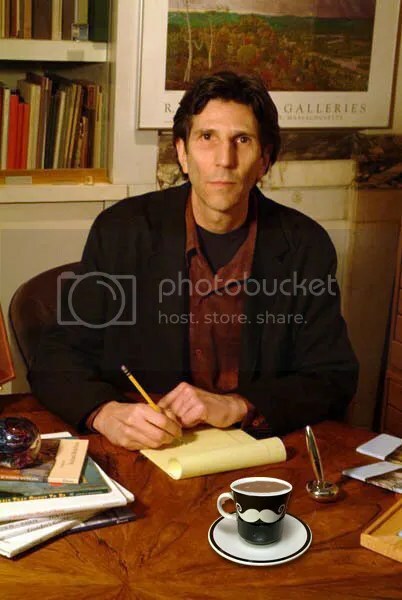 Richard Michelson is a poet, children’s book author, art dealer and former Poet Laureate of Northampton. ☕ Hot Off the Press: S is for Sea Glass: A Beach Alphabet, illustrated by Doris Ettlinger (Sleeping Bear Press, 2014), More Money Than God (Pitt Poetry Series, 2015). When I was just a baby snail, I chose all clothes of blue. I giggled goo goo ga ga. Mama answered coochie coo. But as I grew, I knew I looked nice in chartreuse and pink. And Mama never cared a whit ‘bout what the neighbor’s think. Be yourself, she said, for that’s the thing we all do well. Let no one tell you what to wear when you’re in your own shell. When I was just a baby snail, Dad bought me soldier rattles. And just before my bedtime I would watch them wage their battles. And perfumed all my dollhouses with passion potpourri. To tell you how you should behave when you’re in your own room. When it was time for dating, I went out to meet my fate. I eyed the hunks and harlots till I spied the perfect mate. We belched at all the ballgames, and we swooned at the ballets. Together we attended the hermaphrodite soirées. Be yourself my partner said. Someday you’ll be my spouse. No one can tell us who to love when we’re in our own house. Though prejudice, I’m proud to say, is one problem we’ve solved. Whether they are happy being female, male, or both. ~ Posted with permission of the author, copyright © 2008 Richard Michelson. All rights reserved.